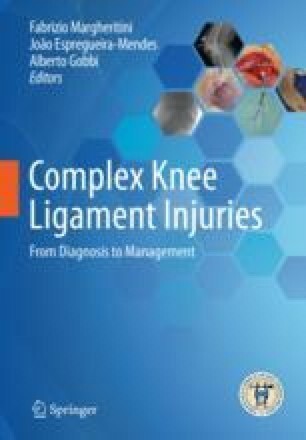 Multiligamentous injuries of the knee are often associated with coincident bony fractures due to the high energy involved. The mechanism of injury and the position of the knee at the time of the impact typically determine the type of fracture. A number of common fracture-dislocation patterns have been described. In the treatment of these complex injuries, particular attention should be paid to the timing of operative intervention, surgical rationale, and order of treatment. Three broad categories of fractures are discussed in relation to knee dislocations: avulsion and impaction fractures commonly related to multiligamentous injury, articular or periarticular fractures and resultant soft tissue injuries, and fractures remote to knee dislocations.